Stirling's Craig Lee and Glasgow's Scott Jamieson secured their European Tour cards for 2016 with their performances at the Hong Kong Open. Lee's joint-42nd place at the event meant he finished 100th in the Race to Dubai rankings, with Tour places available for the top 110 players. Jamieson finished tied for 59th place in Hong Kong and 106th in the rankings. They join Scots Marc Warren, Stephen Gallacher, Richie Ramsay, Paul Lawrie and David Drysdale in the 2016 Tour. Crucially, Jamieson shot a second-round 67 to make the cut in Hong Kong to all but guarantee his Tour card but he faded on Saturday and Sunday to finish on one-over par, a long way behind the winner, England's Justin Rose on 17 under. Cockburnspath's Drysdale was another needing a good finish to clinch his top-110 place and he did so in style with rounds of 68, 71, 68 and 66 for a seven-under par total and joint-18th place at the Fanling course. The 40-year-old earned £100,000 in prize money in October alone from the Alfred Dunhill Links Championships, the British Masters, the Portugal Masters and in Hong Kong to lift him to 87th in the Race to Dubai. However, Greenock's Chris Doak missed the cut at the Fanling course and will try to regain his Tour card through the Qualifying School in Spain next month. 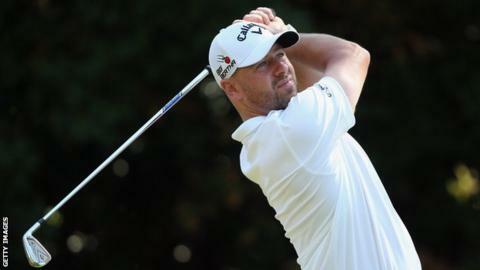 At 18th, Glasgow's Warren is the top-ranked Scottish player on the European Tour. Aberdeen's Richie Ramsay is 46th, Bathgate's Stephen Gallacher 60th and Paul Lawrie, who did not play in Hong Kong, 101st. Meanwhile on the second-tier Challenge Tour, five Scots have finished in the top 45 of the Road to Oman, thereby giving them a chance of earning one of the 15 places on offer by that route to earn a European Tour card next year. Glasgow's Andrew McArthur, Edinburgh's Jamie McLeary, Scott Henry from Clydebank, Dundee's George Murray and Kirkcaldy's Peter Whiteford will compete in the NBO Golf Classic Grand Final in Muscat, Oman from 4-9 November seeking to graduate.